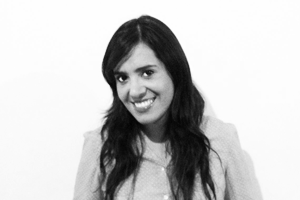 Olivia is a project manager and researcher for SHM in México City. She is currently developing projects that foster economic empowerment and entrepreneurship in young people and women in violent situations. Olivia has worked for the public sector in the development and implementation of public policy, and has also worked at the Mexican Centre of Intelligence and Security. Olivia has a special interest in politics and projects that instigate a sense of citizenship in young people. She is also passionate about information technologies and social networks and how these can help to build relationships. Olivia holds a Bachelor in Communication from Universidad Iberoamericana.